Good morning! 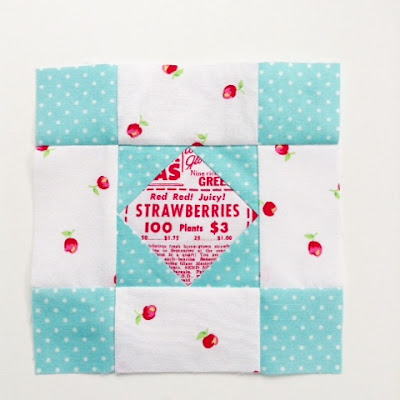 I want to share with you all this adorable receiving blanket I made using a new free pattern and tutorial from Fat Quarter Shop. Since there is no batting between the fabric layers it has a wonderful drape and feel. I loved sewing it because it was so nice to move around and sew through. This will easily become a child's "blankie". The blanket is finished using Aurifil 12 wt. thread. I have used this before and really like it. It really gives a little something extra and makes the stitches pop. I chose color #MK12-1114 Green Grass. It's the same color I used for the Aurifil thread Challenge years ago so I knew it would match Tiger Lily. I definitely recommend making this receiving blanket. It's fast and cute. Give it a try. Below are some important links to get you started. 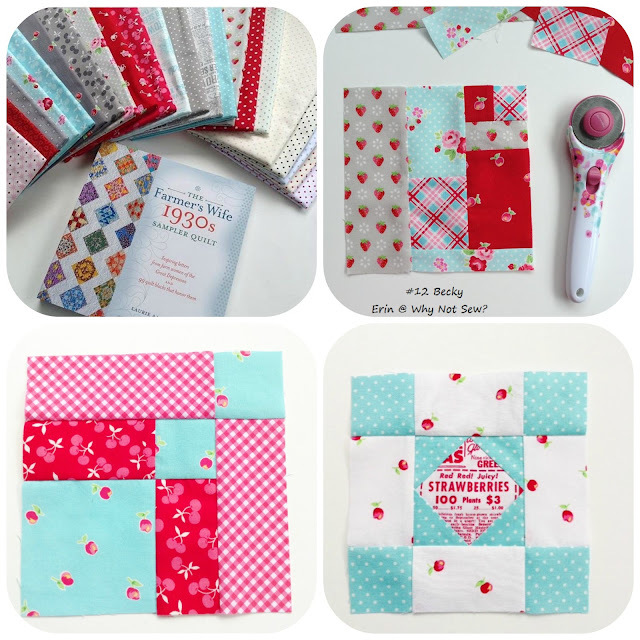 If you are sharing your project on Instagram, please use #fqsreceivingblanket and #fqsfun. Good morning! Today I am posting about my block for the Farmer's Wife 1930s quilt along that Kerry is hosting. 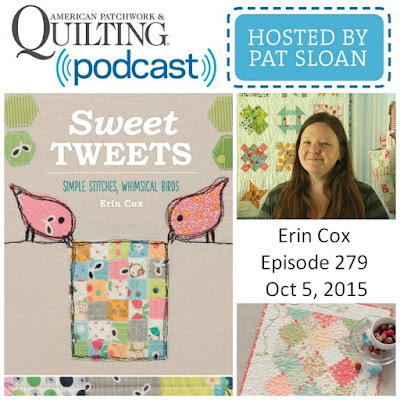 We are in week six of this quilt along and my block today is Bea. Oh Bea. We've had a few words, her and I. I chose Bea because she was a basket block and I thought she was really pretty. I noticed there were no rotary cutting instructions for her and I think it's because of her handle? Not sure. So I printed the templates and the paper piecing pages. I realized that my 1 inch scale line was looking a little small. I measured and it was just shy of 1/16" too small. I printed it with no scaling so not sure how to fix that for future blocks. So I did the math and set out to just straight rotary cut Miss Bea. It worked good enough ( the third time, haha) Not exactly a perfect 6.5" unfinished square but I could make it work. So went to take pictures of Bea yesterday before the sun went down. Before going out I decided to give her a good press since the block was in a baggie with my other blocks. And wouldn't you know it... I scorched the block! I didn't notice until I took a picture and looked at it. I used peroxide and got most of the scorch marks out. I decided to give it another press and try to shape the block a bit. Now she's a bit wrinkly and curving in on one side. She looks kind of vintage now. I'll just tell myself that. I started working on a paper pieced version last night when everyone was sleeping. I was using my Featherweight in the dining / school area and my thread kept breaking and skipping stitches. I thought You have to be kidding me. My other machine is in my bedroom and I couldn't wake everyone up. So I decided to get up early and work on the paper pieced version. Got all my pieces sewn and guess what? I didn't mirror image when I printed. Seriously. This is nuts. So I really don't have a pretty block to show you, yet! Maybe my 5th try will be a success. 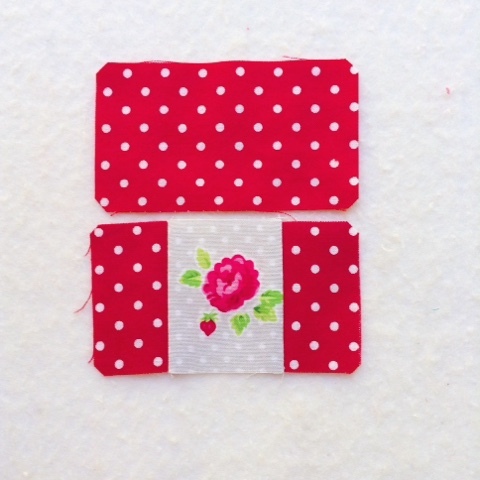 So my only tips I can offer are to make sure you print mirror image for paper piecing. 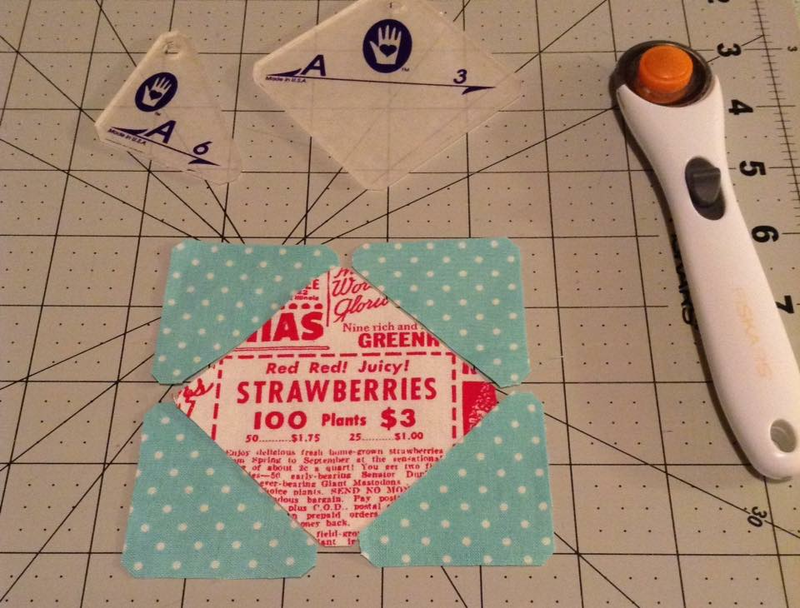 Don't scorch your block :) and hopefully your printer is printing the templates the right size. I like the letter for Bea. The writer talks about making herself think happy, lovely thoughts. Isn't that the truth!?! Not wanting after what you do no have but enjoying what is already yours. I love that. 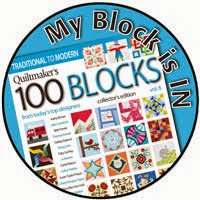 Be sure to see the beautiful blocks that the others are making for the quilt along. 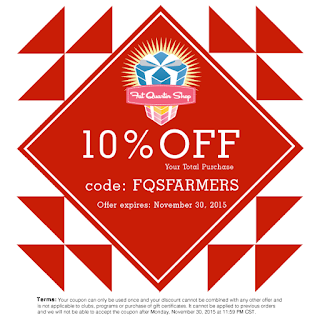 You can use the hashtag #fw1930sqal and #beablock you can also use Fat Quarter Shop's hastags #fw11Bea. 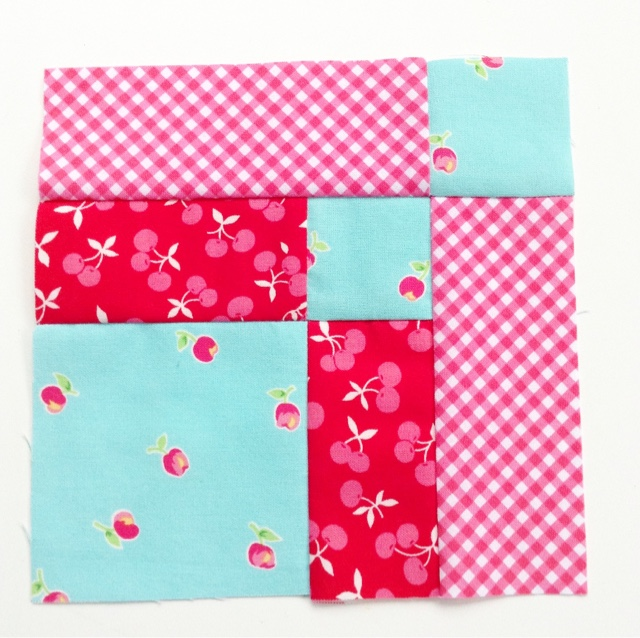 Check out Kerry's beautiful Bea block. 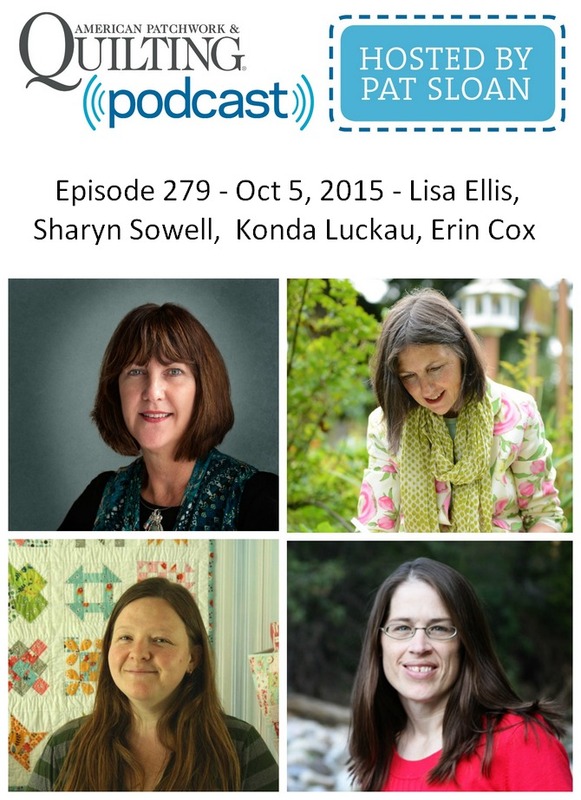 Here is a list of the other bloggers in the quilt along. Hello there! Today I'm going to show how I made block no. 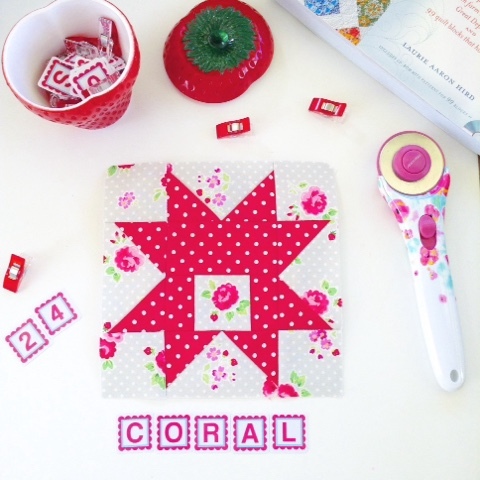 24, Coral for the Farmer's Wife 1930s Sampler Quilt Sew Along with Gnome Angel, Fat Quarter Shop, and Marti Michell. It's a simple block. 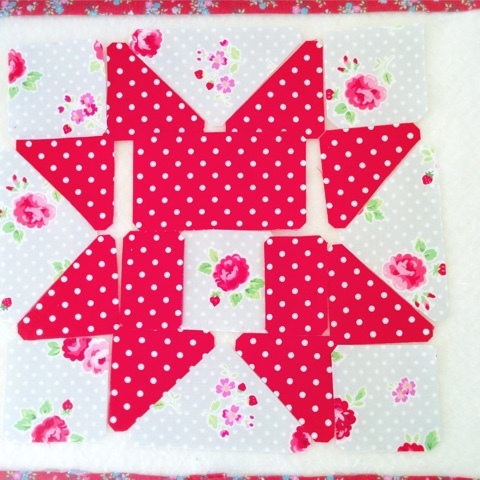 Basically, it's a saw tooth star with a cute little square added to the bottom of the center block. I used From Marti Michell templates from set A for mine. I have fallen in love with these templates. If you have read my blog for a while you might know that I started quilting by drawing templates on card board and tracing all my pieces by hand and then cutting them out with scissors. I did not like it very much. I wasn't careful or accurate with what I was doing. But these, these Marti Michell templates are so nice. They are sturdy and trimming the corners makes everything match up so perfectly. And I'm using my rotary cutter and strips with them. It's pretty fast. I'm really happy with them. I chose to make flying geese units for the top, bottom and sides instead of half square triangles. One less seam to piece sounds good to me! I put the flying geese to the side and then pieced my center. Like this. Sew 2 geese units onto the sides of the center block. 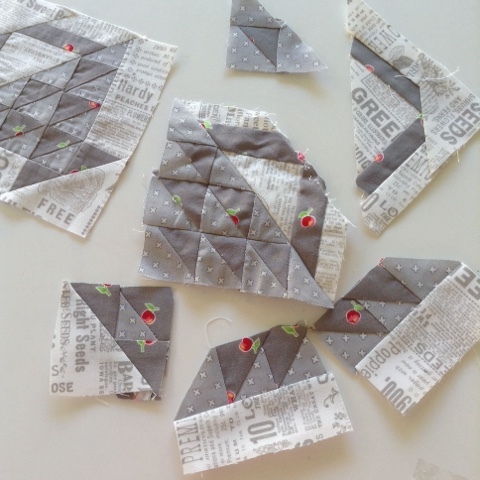 Sew 2 squares onto each side of the 2 remaining flying geese units. I pressed my row seams open. 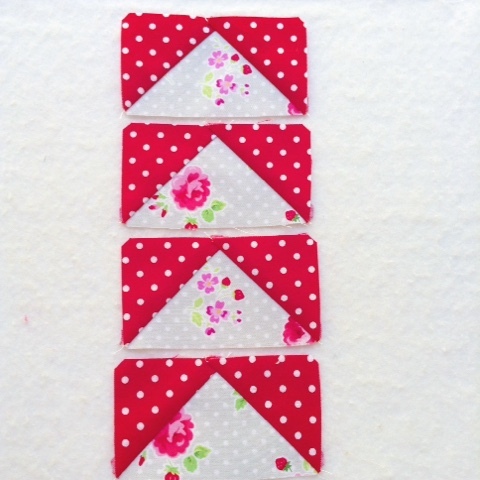 The link to Marti Michell's conversion charts to use the templates for this block is HERE. I really love the story that goes with the Coral block. The lady writing is a farmer's wife writing from Wisconsin in October 1936. She talks about taking time to enjoy her little ones. How many of us can relate to this? It seems a running theme through out time. Whether it's 1936 or 2015 so many of us are trying to do this. Live in the moment and enjoy the little things in life and those little blessing especially. 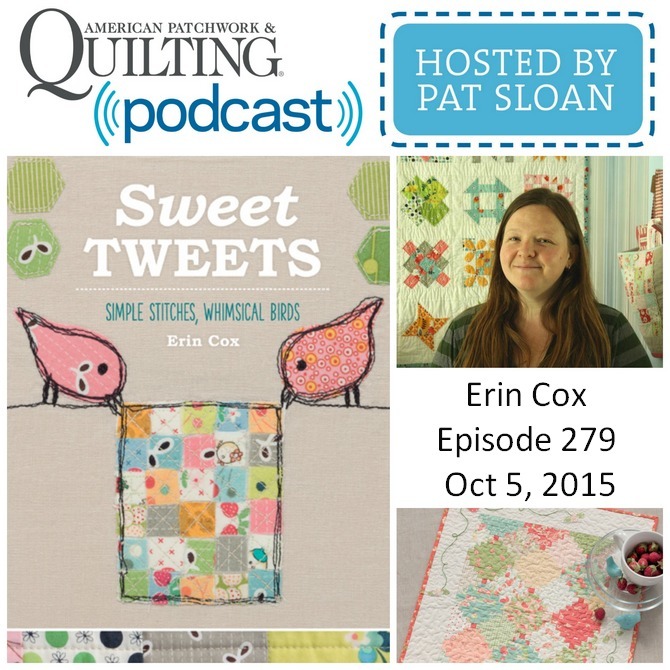 I hope you are enjoying the sew along. The blocks and stories are wonderful. 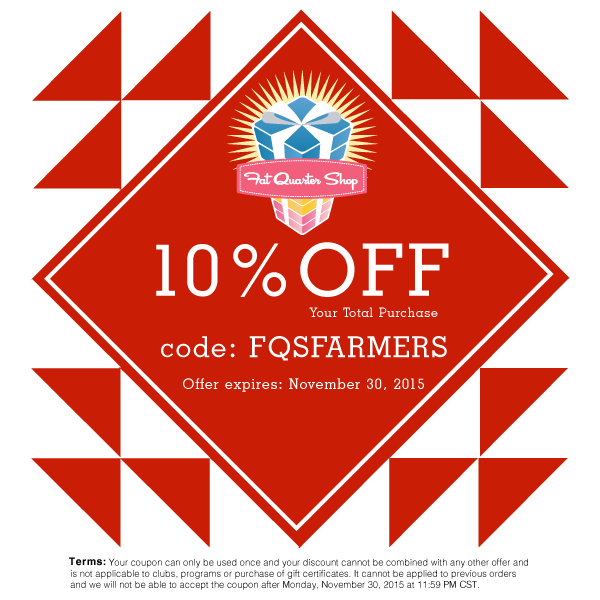 Fat Quarter Shop has a special code for 10% off your total purchase you can use towards making your Farmer's Wife quilt. 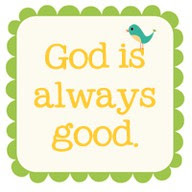 Sunday Link Party at GnomeAngel.com. Good Morning! 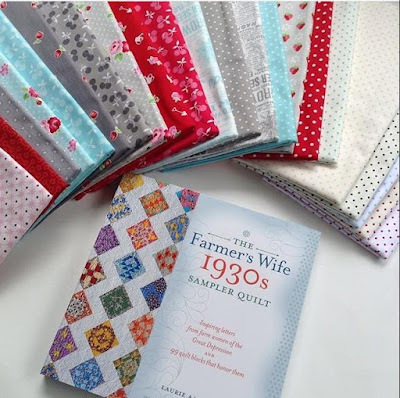 Are you sewing Farmer's Wife 1930s blocks? I 'm sharing my blocks from week 1 for the Farmer's Wife 1930s Sampler Quilt Sew Along with Gnome Angel. 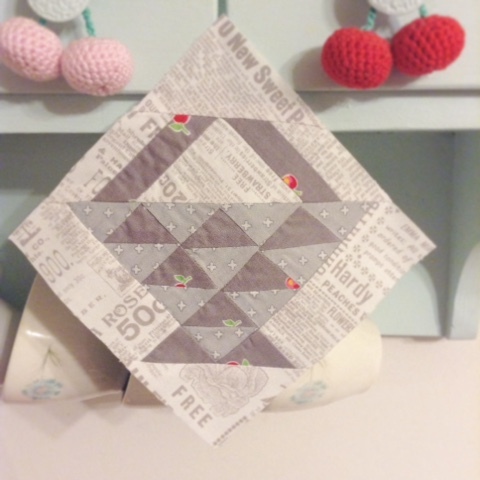 I chose to use aqua, red and grey for my blocks. 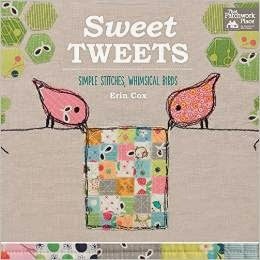 Most of the fabrics are from Lakehouse Fabrics Pam Kitty Fog City and Holly Holderman Sunrise Studio with a few others tossed in the mix. 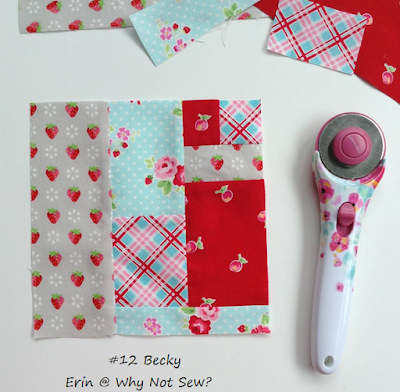 The first block for this sew along was #12 Becky. 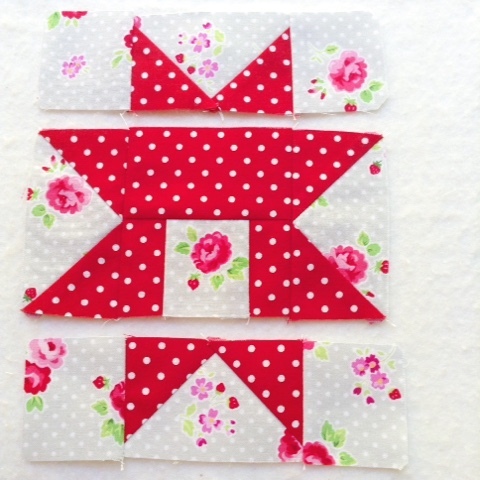 The blocks for this sew along are going in order of simplicity I think. This block was a breeze to put together. I used the rotary cutter for this block. The next block was #16 Bonnie. 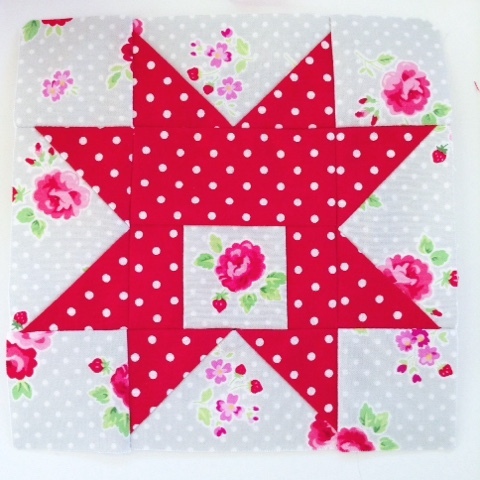 Another simple block that I used the rotary cutter to make. I love this block. It's #8 Aunt. For the block I used a rotary cutter for the side and corner squares. For the center on-point square and it's corner triangles I used Marti Michell's template from set A. The pieces go together so nice. Cutting those little nubs off the ends of the pieces really makes a difference. I have never been fond of templates but I have changed my mind. 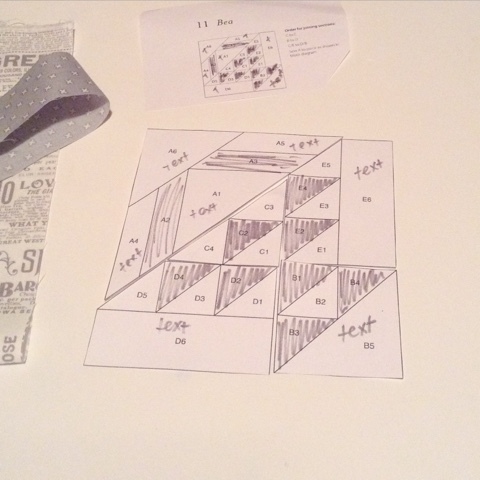 I learned to quilt using cardboard as a template and tracing around each piece. I never enjoyed it. My accuracy was lacking, to say the least. These are lovely. They combine the speed of rotary cutting with a precise template. I watched this video of Marti Michell and really got a grasp of her templates. I'm going to use them as often as I can. I love the way my points look in the center of this block! I hope you are sewing along. 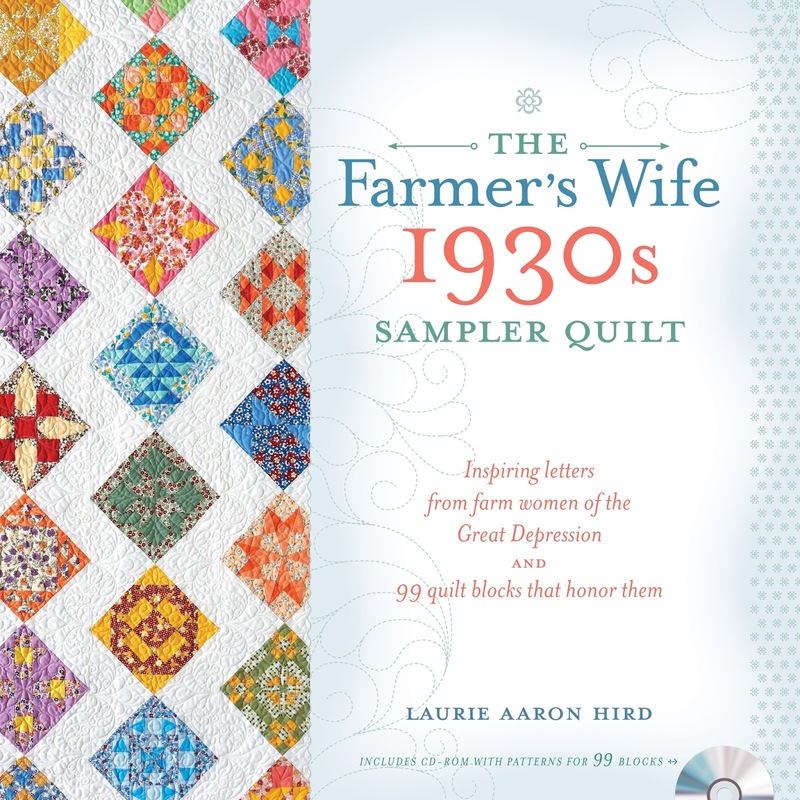 These blocks have been fun to sew and the stories in the book, as with all of Laurie Aaron Hird's books, are really wonderful and touching. I look forward to seeing all of the blocks being made. There is a link up party HERE! There is also a Facebook group HERE! Hi there! 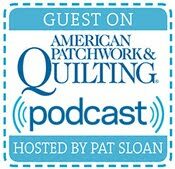 I am so excited to let you all know that I will be talking with the fabulous Pat Sloan Monday, October 5th at 4pm (eastern time) on the American Patchwork & Quilting Podcast!!! This is yet another surreal moment for me. I never would have thought I would someday be on her radio show. I met Pat at a quilt show in Hershey PA years ago. I was so nervous I forgot how to speak. Anyone who knows me knows that is REALLY not like me. I proceeded to tell her meeting her was cooler than meeting a rock star (cringe, I know). I am SUCH a dork. I'm sure I was beet red. She just gave me a big ol' hug and told me I should get on Facebook!!! hehe! 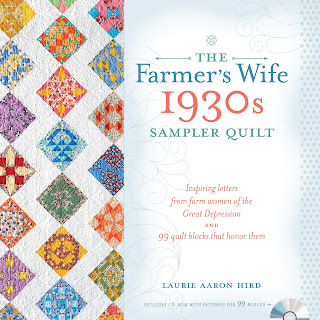 The next year at the same quilt show I was so nervous I didn't even talk to her. I talked with her husband about an upcoming cruise while she was speaking with someone else and my daughter nudged me to talk to her, I ducked out and down the aisle. Silly me. So, I hope I do not get tongue tied Monday. Wish me luck. If you'd like to listen you can use the links below. You can listen on your computer, subscribe in i-tunes or download to a player.